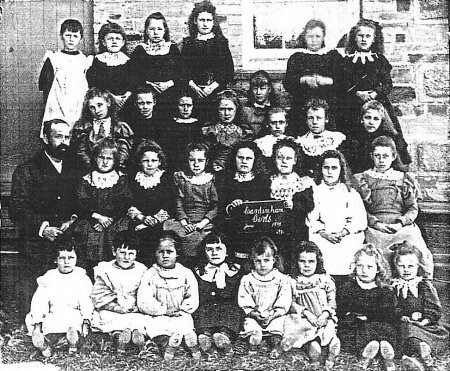 Cardinham Board School opened its doors to 46 children on April 17th 1882. Fees were charged to local families. By 1893 the school housed 89 pupils, although attendance was very irregular due to sickness, weather conditions and the need for labour on the farms. The school holidays were arranged to meet the needs of the agricultural year. There are records from 1882 showing that only half the children attended one day in August because the rest were needed to help bring in the hay. Illness was common and scarlet fever often closed the school for weeks on end. Children died from these diseases – almost one child every year. Diptheria, ringworm, influenza and whooping cough were frequent causes of absence. In March 1899 school was closed for a week when the headmaster, Mr Jackson, was taken ill.
During these years the children were taught reading, writing and arithmetic (the 3 Rs), grammar, poetry, religious instruction, drill, needlework, songs and agriculture. Exams were held regularly. 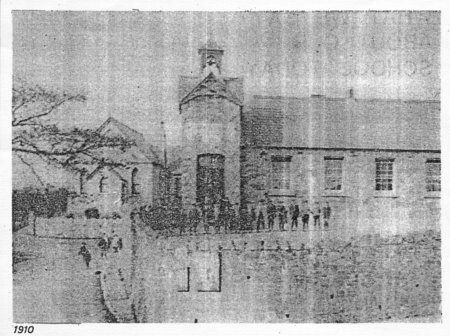 In 1902 the school was taken over by Cardinham Council. 32 children were in attendance at this time. Holidays were now set by the government and fire drills and medicals were held. Names were taken down of children who did not come to school regularly. 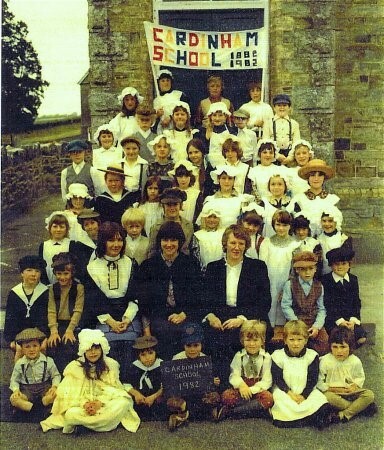 In these times children stayed at Cardinham until they were 14. Many then left school altogether to work. The more able children passed scholarships which meant they could attend a secondary school in Bodmin or a technical college in Truro. The school has stood through two World Wars. During the first war troops occasionally used the school on route marches. Coal was scarce and school often closed early to economise. For Christmas 1915 children collected money, gifts and eggs for the soldiers. On 11th November 1918 the school joined the two minutes’ silence at 11am to mark Armistice Day. During the second world war, evacuees arrived in the village. In 1940 a school from Brentford arrived and had to share the school, so the children came on alternate weeks. In 1941 evacuees from Saltash joined the school where they stayed until 1945. 1942 saw the opening of the school canteen but it wasn’t until 1958 that mains water arrived. Until this time the water had to be carried across the road. In 1961 the toilets became flush ones and in 1963 electricity arrived. In 1969 the first telephone call was received by headmaster Mr Bailey.